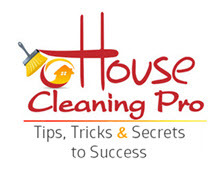 You are here: Home / Frequently Asked Questions / General Questions About House Cleaning Pro / I Want to Start a House Cleaning Business – Where do I Start? One of the most important things to know about using information about starting any business is to follow someone who has actually built the type of business you are interested in. There’s a lot of information available that is written by writers that have never even built the business they are writing about. This information will contain valid points, but the real meat of the information you should be using is provided by experts in the field. My expertise is that I built my business from the ground up – doing the cleaning myself on information I gained by having my house professionally cleaned for over 10 years. I knew what they did wrong and built my business on doing it right. I have two free guides that can help you. First you need to know what type of cleaning business is right for you. If you’re unsure about the industry, click here to get this report now. Cleaning homes means you usually work Monday through Saturday. These are the days people want their homes cleaned. And the best part is, most people are working today so you are cleaning in homes without people trying to supervise your work. 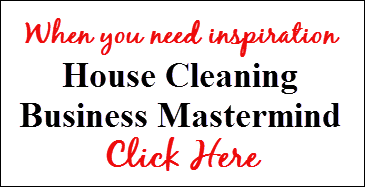 Register for my free guide to start a house cleaning business. In this guide I share the most important things you’ll need to know about residential cleaning to be successful. I provide these free reports for you to become familiar with the importance of running a structured business so you can avoid many of the issues that cause many new house cleaning businesses to fail.